When we create a website, we are creating a Silo website to enhance the websites performance. There are 2 types of silos, simple and complex. Before we get to the difference between a simple silo and a complex silo, I want to discuss what is a silo website and the importance of having a website that is set up this way. Many developers do not design with an SEO mindset and are mainly focusing on visual appeal and proper layout of the page itself. More and more website developers are starting to add in core SEO on page optimization techniques into building the website, but are still lacking in building a structured silo website. So the pages would be auto repair, brake repair, transmission repair, engine repair, brake repair, radiator repair and none of the pages are interlinked or if they are, their linked between what could be main categories. This is a normal website that is using a products page, services page or a drop down menu with the different services. These websites can be effective, but what we have found is using a silo for the different core aspects of your business are more effective. What is SEO Website Silo Architecture? Website silo architecture is an internal website linking structure that (when executed properly) will tend to create higher rankings on the search engine for keywords contained within the silo structure. Usually, a silo structure has a silo landing page in which three to five keywords can be targeted for ranking, preferably with one overlying topical theme. A silo is a design of the website to create a grouping of related pages or posts through linking or a directory style to establish different content themes of the business. Take auto repair for example: auto repair is one main category, transmission repair is another and engine repair can be another. Each of these main focus areas can have sub categories under each one of them. Under auto repair you can classify brake repair, radiator repair, starter repair, clutch repair all under auto repair services. Then do the same for transmission and engine. See diagram below which is a simple silo structure. In this diagram, there are 4 main categories that are being targeted and then there are supporting posts to the 4 main categories. It is important to make sure you do not interlink between the pages, categories and posts. It is important to however interlink the same page/category with the same silo posts and the silo posts from the same main category with each other. This silo structure tells google that those pages/posts are covering 1 main topic with sub topics. This is why the silo structure can be effective in helping a website rank better in the search engines. When a backlink is created or earned to the main page or posts to that silo, the link juice is shared among the entire silo. Every business typically has multiple silos under one roof. Take an attorney that practices DUI, criminal, juvenile and bankruptcy, these are all different silos and earning channels for the practice. Just as they are different revenue generating items for the business, the website should also be set up accordingly. 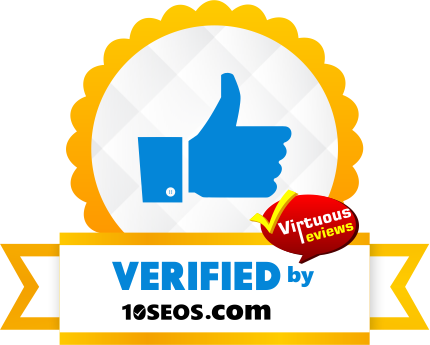 This will keep the website structured best for the major search engines. Now that we know what a simple silo structure is, we can discuss a complex silo and what the difference is. A complex silo is just like it sounds and can be very complex for several reasons and is very important to properly plan out a complex silo structure. It can take a few hours to ensure proper execution of this style of website, but can be very effective and worth the extra effort. In theory, because of the design of a complex silo, it may not require as much links to be as effective as a simple silo structure in helping your website rank better. This type of website also requires a lot more content. Majestic Warrior was built as a complex silo. Our Silo Page or the Top of the silo is website design, then optimized website is a silo page or sub topic of web design and this post is a sub topic of optimized websites as we create silo websites primarily. A complex silo helps build authority throughout each silo of the business/website, although a complex silo can be more powerful than that of a simple silo, not all local niche websites need a complex to be built. There are many ways to build a complex silo, pitfalls and plugins that can help with structuring your website this way. With this example you would interlink between the pages through the content or even at the bottom of the page as extra resources. The main or top of the silo would be auto repair and brake, clutch and radiator are subtopics of auto repair. This would be considered a virtual silo and can be created on many sites and even existing websites. These types of silos are the ones that take hours to properly lay out before you start. Bruce Clay is one of the first designers that started to incorporate a silo structure website back in 2003. He discussed directory silos in depth at http://www.bruceclay.com/seo/silo.htmDirectory silos reinforce themes by grouping like content pages under one, highly organized directory. A minimum of five content pages are needed to establish the theme and each must be named to reinforce the subject matter. Without a clear directory structure, visitors and search engines are easily lost as to the purpose and theme of the site. Think of a directory silo like a file cabinet. In order for the file cabinet to be effective, everything must remain tightly grouped in its place and filed under the appropriate structured heading. Every distinct category will have its own heading. This means if you are a site specializing in peanut butter, all of your creamy peanut butter pages would be grouped together and all of your chunky peanut butter pages would be grouped together. The two would never be mixed as either content or cross-linking. From this example you can see that creamy peanut butter can be broken down significantly into different types of sub topics. 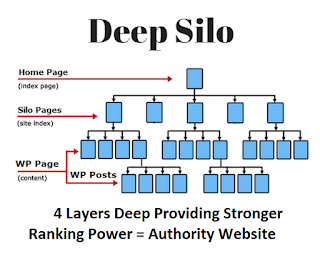 When building your structure this way and interlinking in the same silo gives the strength and power to rank all pages in that silo covering the different topics and sub topics. All five pages would link to the main creamy page telling the search engines that these pages are related to the main category or creamy page. This is what makes a silo structure so powerful and why we use them. There are many pitfalls to creating a silo simple or complex and that is why they can take a while to set up and execute. One of the most common pitfalls is using the same keyword in the Silo Page or Post page. Lets say your domain is garagedoorrepairfromexpertsusa.com, then you create a directory page that looks like garagedoorrepairfromexpertsusa.com/garage-door-repair/ you would be surprise how often this is done and this can trigger over-optimization penalties. The problem with this is having garage door repair in the main URL and then also having garage door repair as a page itself. This was an extreme example, but I hope you get the idea. The same problem can happen with a branded domain where it could be Bobsdoorsandopeners.com/garage-door-repair/. Looking at this domain and page, this would be a great setup for the initial build of the silo, but with a complex silo, there are following pages. Lets say the next page is Bobsdoorsandopeners.com/garage-door-repair/garage-door-repair-phoenix/ again this can be another pitfall and you are repeating the same keyword phrase two times in the same URL. A better way this should be done in this case would be Bobsdoorsandopeners.com/garage-door-repair/phoenix/ and this helps avoid over-optimization of the silo and website. This is why when we build a new website we utilize a simple or complex silo structure in the website. When we take over a website, in many cases a silo has not been built or has not been built properly we try our best with page redirects and interlinking to create a silo structure in your existing website. Get in touch with us today and see how we can help your website perform better with a good silo structure and on-page optimization.